We’ve all seen them at one point or another – in a park, at a festival, or practically any place where tourists gather in large numbers. Some of us walk right past them as if they were actual statues while others might stop and stare a while. Eventually, we all end up thinking the same thing – “I could do that!” After all, this has to be the cushiest job in the world. You make money by literally just standing there. What could be easier, right? 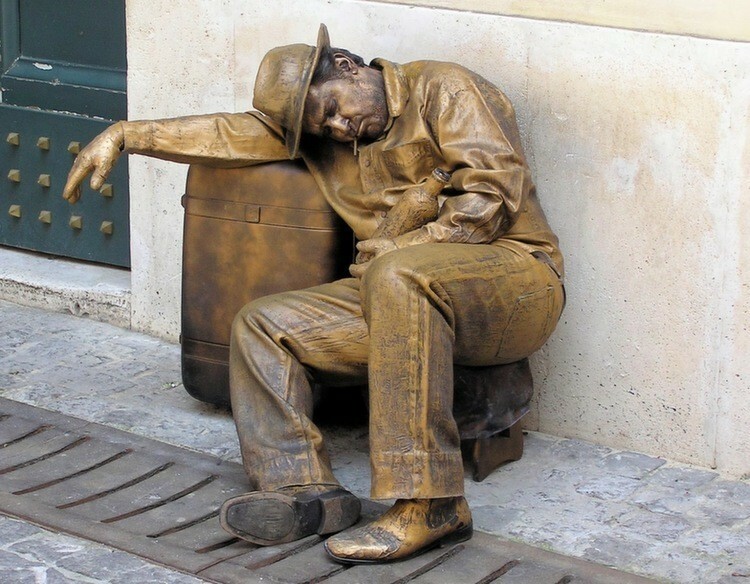 As it turns out, being a living statue isn’t really that easy. If you think otherwise, try it for yourself. 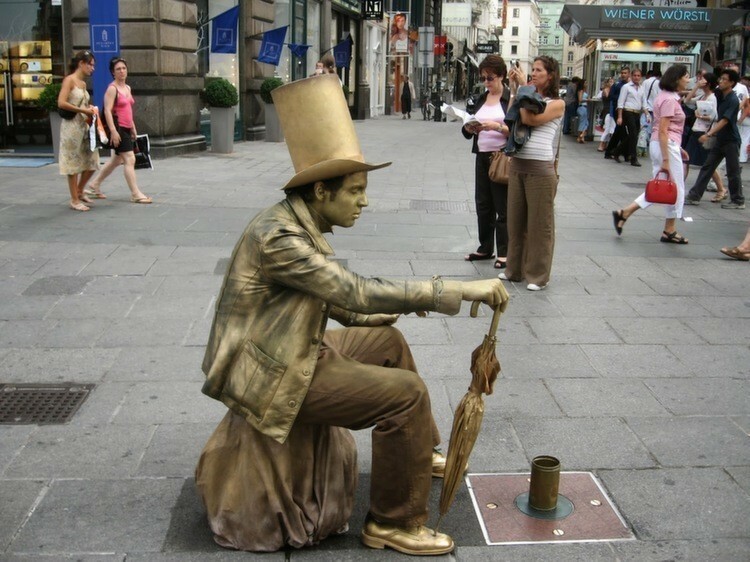 A living statue will do “solitude” sessions of 30 minutes to an hour followed by a quick 5-minute break and then repeat…and this goes on for several hours at a time. You have to have very good control over your body to do that – knowing how to keep your muscles from cramping up, how to deal with aches and spasms, your bladder, etc. 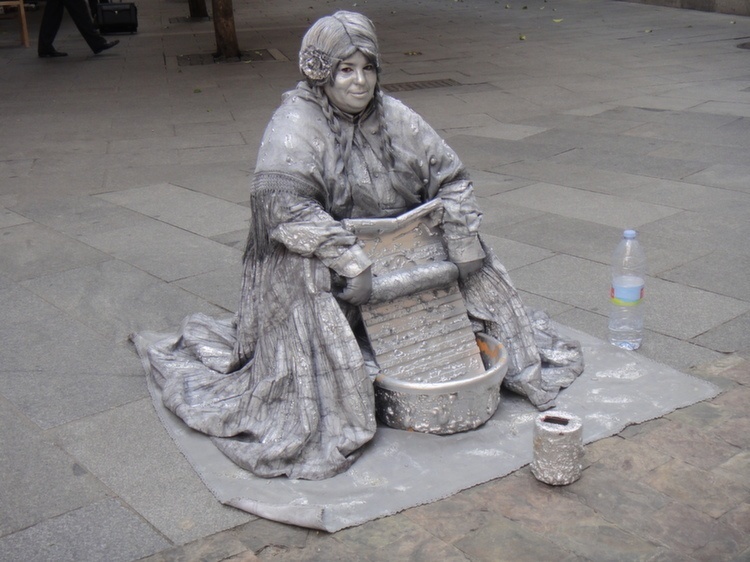 These are issues you need to contend with if you want to be a living statue – or at least one that makes rent. 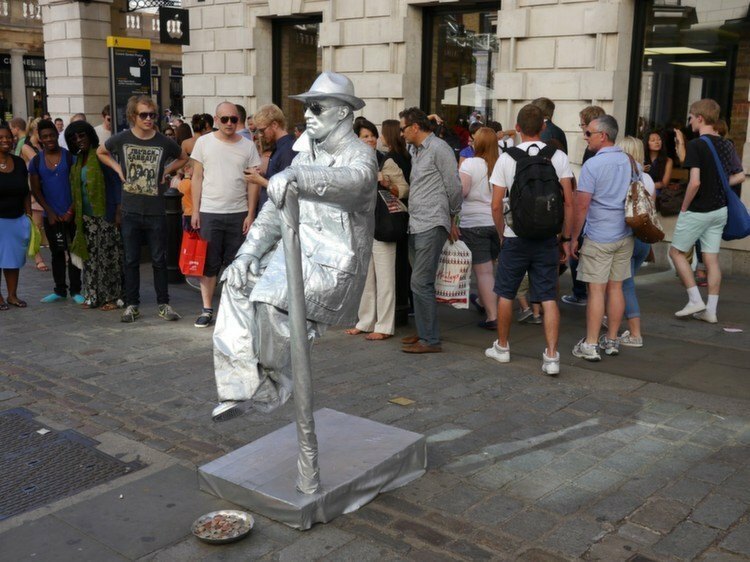 Living statue or just good timing? 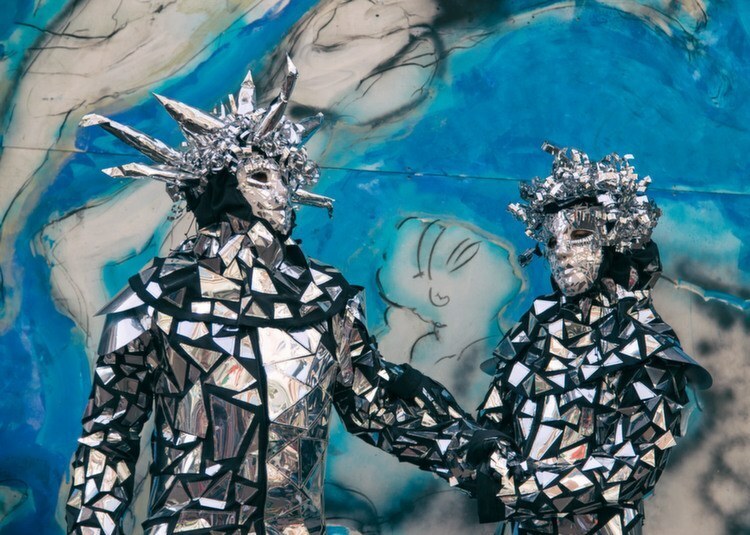 Believe it or not, the living statue world is a highly competitive one. 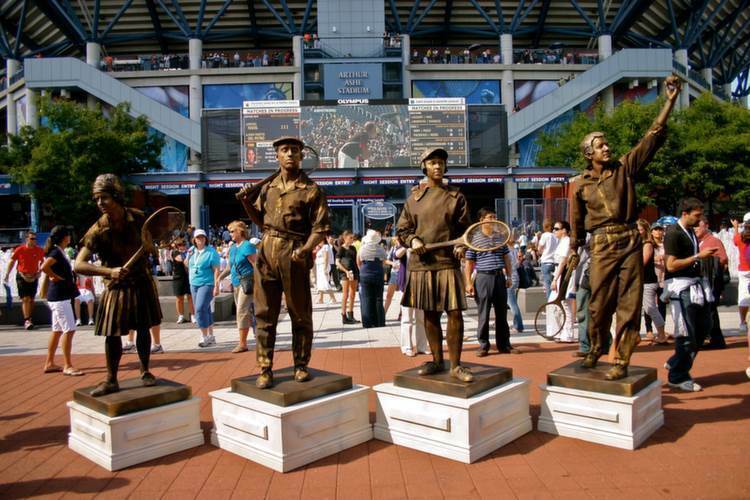 As they make money mainly from tourists, multiple statues will inevitably end up congregating at the same turf. If you want to be the one who gets the tips, you need to find a way to attract the most attention. This is often accomplished through a well-developed costume and persona. You have to let your imagination run wild here, since simply draping yourself from head to toe in silver or gold paint doesn’t get the job done. That said, upward mobility does exist, and the pay isn’t absolutely terrible: if you do the job well, you can earn up to $300 a day. For the living statue elite, it’s possible to abandon the streets and enter swanky corporate galas. 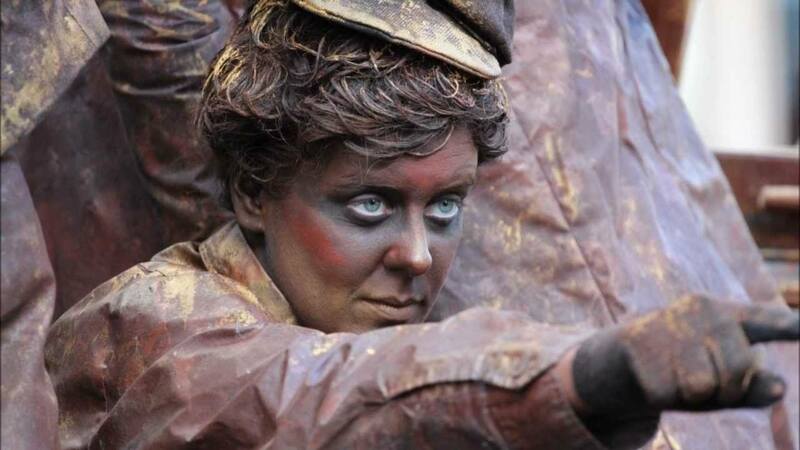 Companies will often hire living statues and rent them out for corporate gigs, promotions and other events. The work is more lucrative than busking and you generally don’t have to worry about idiots groping or tickling you or whatever else they might do to get you to move. Contrary to popular belief, these organizations don’t hire people to remain absolutely motionless for as long as possible. If this is what they wanted, they’d get an actual statue. The goal is for the statues to make subtle movements and gestures so as to be almost unnoticeable. It’s all in the timing. If you are a living statue or intrigued by the prospect of becoming one, there is only one place for you – Arnhem, Netherlands. 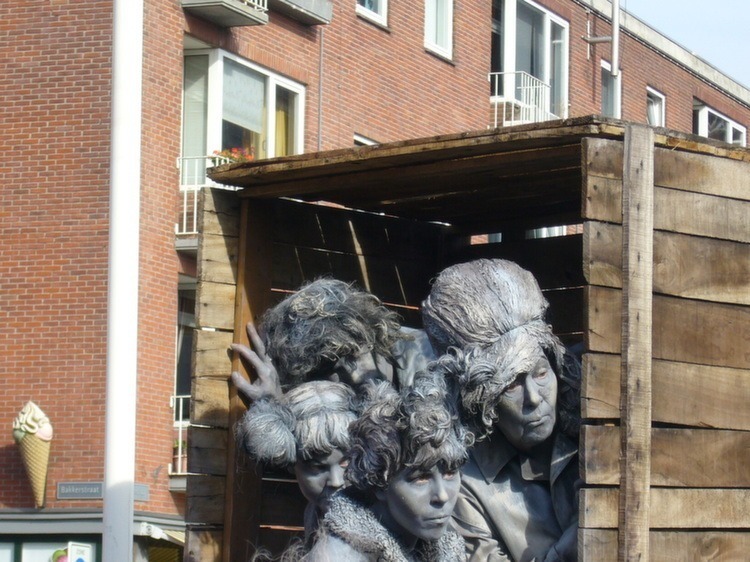 Every year, towards the end of summer (this year in September), it hosts the World Living Statue Festival complete with the World Championship of Living Statues. 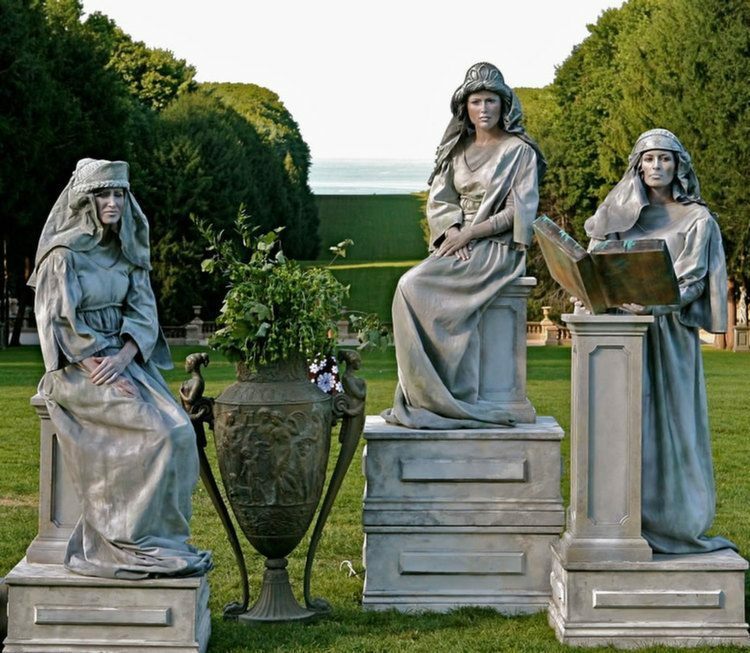 Hundreds of statues and thousands more visitors attend each year, so it’s the perfect place to get noticed. There is also an Amateur group for those of you just starting out, as well as one for kids. Afterwards all the living statues take part in a massive parade through the city.